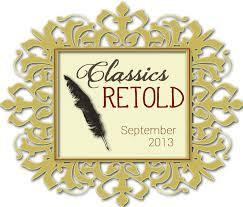 This month I’m participating in the Classics Retold project. Find more info here! Before I started reading retellings or novels inspired by Norse mythology, I wanted to better acquaint myself with the source material, so I checked out several books from my local library. My favorite text was D’Aulaires’ Book of Norse Myths. Beautifully illustrated, the stories are presented in simple language. Though it’s designed for children, it was a hit with me. I couldn’t find a better introduction to the fantastical world of fallible gods, giants, trolls, and gnomes, which will one day end in when the giants escape their mountains and the nine Norse worlds will all come to an end in the great battle of Ragnarokk. 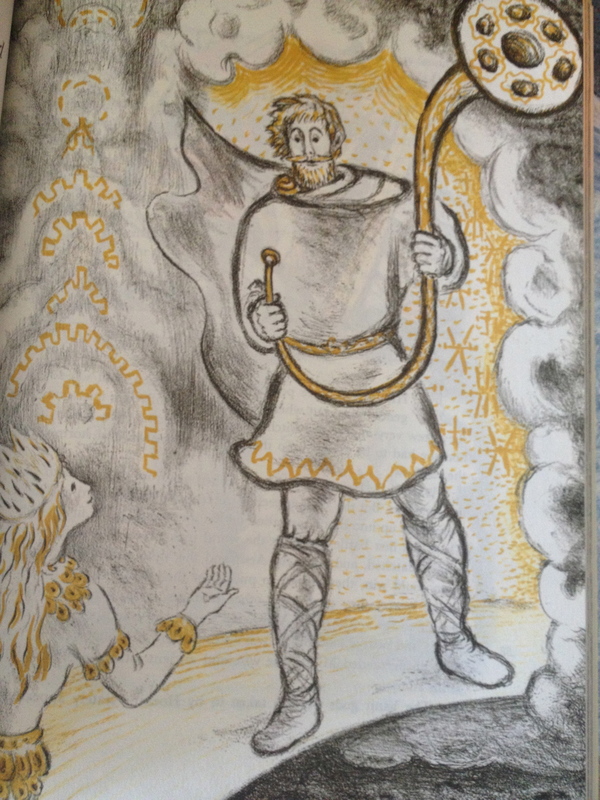 While the volume includes the familiar stories of Thor, Loki, Odin, and Freya, it also introduced me to lesser known (at least to me) Norse gods. Bargi, God of Poetry, was a favorite of mine. Of course poetry came into the world because of drops of magical mead. If you’re looking for some more academic (but still accessible nonfiction on Norse mythology, I recommend Song of the Vikings: Snorri and the Making of Norse Myths by Nancy Marie Brown. While Ovid and Homer are well-known as the poets that preserved Greek and Roman mythology for the modern age, Snorri is virtually unknown to average readers. Unlike the traditional Viking, Snorri was not a warrior but a cunning businessman and poet who gave the world Edda, Heimskringla, and Egil’s Saga. The tales in Song of the Vikings and the adaptations of these stories I read definitely did make me laugh. An intermediate text more sophisticated than the renderings of the myths by the D’Aulaires is The Children of Odin: The Book of Northern Myths by Padraic Colum. This volume is a little more dark and descriptive than the children’s version. The magic mead I thought was so cool in the first book turned out to be brewed from through villainy from the blood of men! 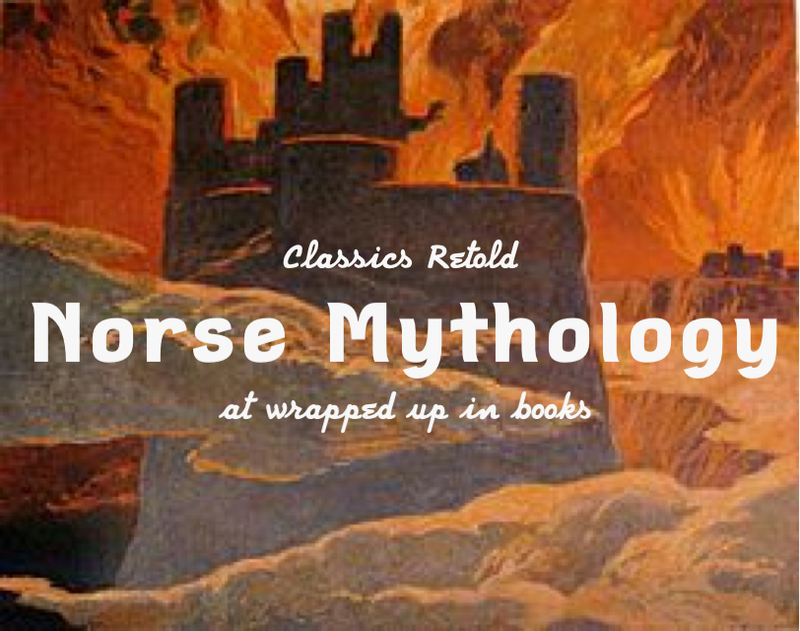 These stories are as entertaining as the more widely read Greek and Roman myths, and I was glad that the Classics Retold project encouraged me to explore them. In the coming weeks I’ll be reviewing middle grade, young adult, and adult fiction as well as a few graphic novels inspired by Norse mythology, so stay tuned! Check out the rest of the bloggers exploring all sorts of classics, retold—you can find the links here. Greek mythology is probably my favorite type of mythology, although I’ve been interested in learning more about the darker, more serious mythology developed by the Norse. So far I’ve only really read the Norse myths found in the last quarter of Edith Hamilton’s Mythology, and I’ve been meaning to fix that. Thanks for some great recommendations! And I look forward to seeing your future Classics Retold posts! 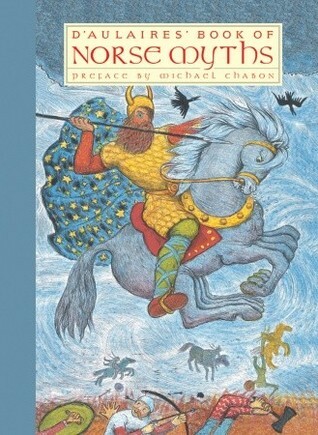 I liked Edith Hamilton’s Mythology book when I was a kid, but it is slim on Norse. These books are great to fill in the gaps! Cool – I’ve always meant to read more Norse mythology. I love Greek and Roman mythology and I’ve always meant to dig into the Norse myths. You’ve given me the nudge I needed. Thanks! You should totally get the children’s books for the kids! They’d love them. I love Norse Mythology…look forward to your posts! Not seen Children of Odin before, looks great. It’s an older book, but has a great selection of short stories. Thanks for the suggestions! I’m interested in both D’Aulaires’ Book of Norse Myths (my children might like it too) and Song of the Vikings. It’s perfect for kids! The D’Aulaires’ have an award winning illustrated version of Greek myths, too. We had dozens in the children’s section of my library, and they were by FAR my favorite editions.